Custom cookies start at $48 a dozen for regular sized cookies and $24 a dozen for mini cookies. 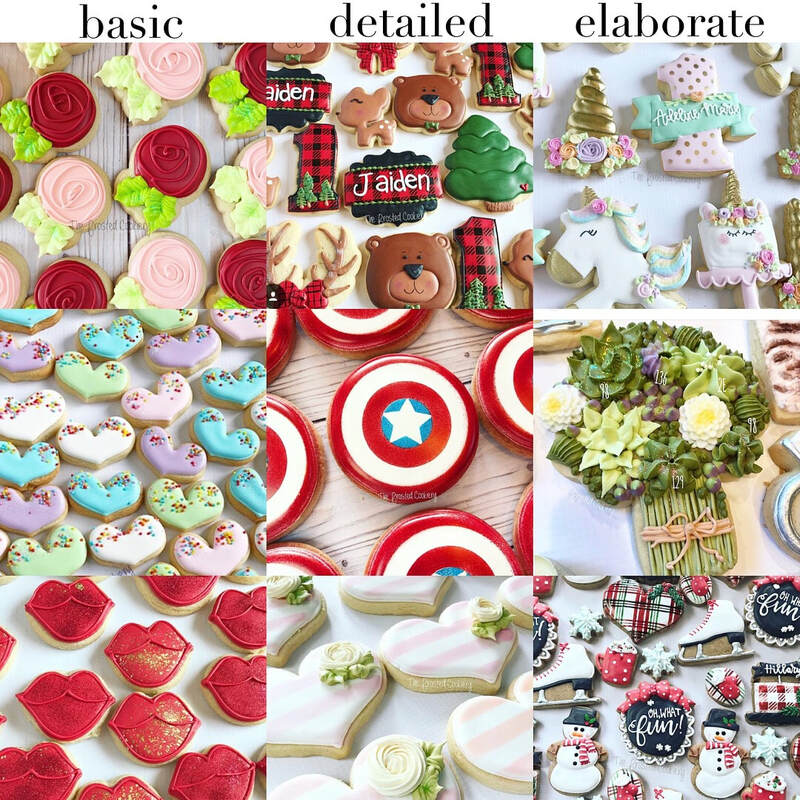 This is for basic, non elaborate cookies. Adding colors, airbrushing, lots of writing, intricate designs, metallic, etc will raise the price of cookies. 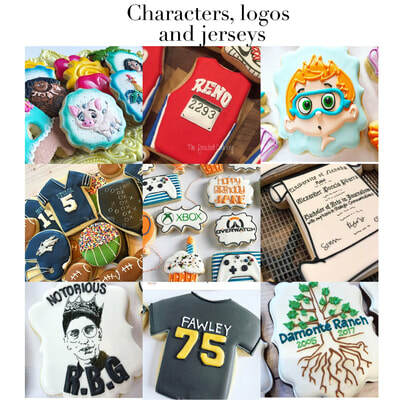 Characters, logos and jerseys will have special pricing. When filling out the custom order request form please be specific so I can give you an accurate idea of the cost. 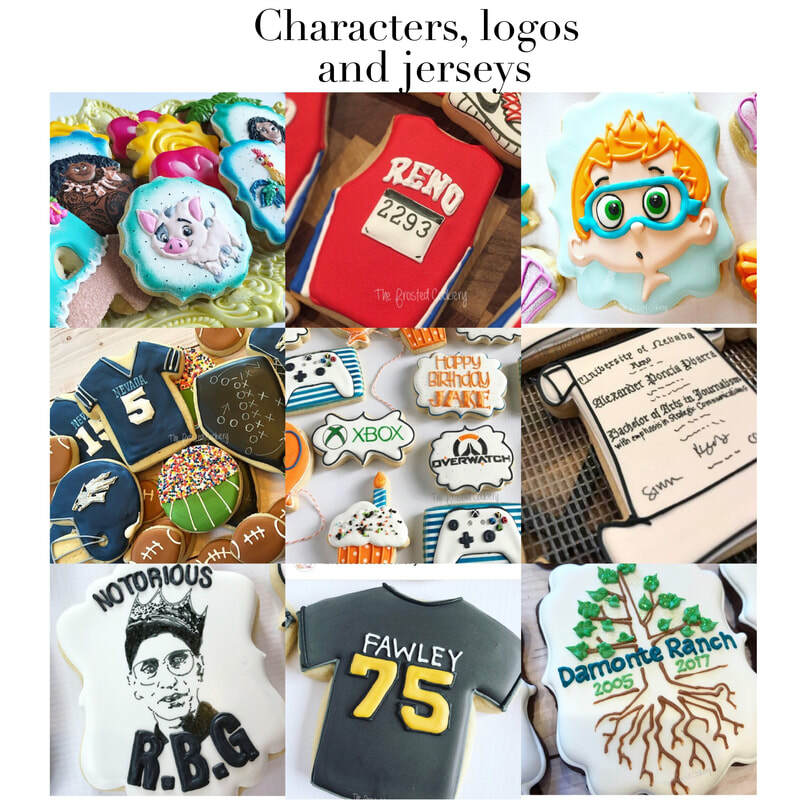 Custom cookies have a two dozen minimum (this must be the same theme) when ordering (there is a 3 dozen minimum for mini cookies). Please check my availability and then fill out an order request form to get specific pricing for what you'd like. In the event that I am able to take a last minute order (less than two weeks before pick up date) there is a 25% rush fee for the order. All cookies must be paid in full in order to be placed on my calendar. Cookies will come in cello bags for freshness (even if they're boxed). If you'd like cookies wrapped as favors with bakery twine or ribbons/bows there is a charge of $8 per dozen bags.